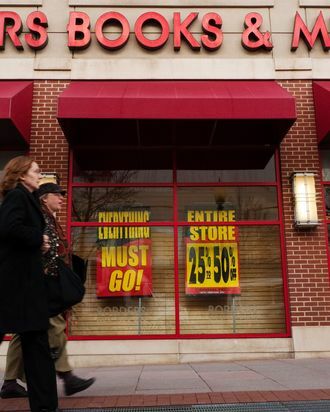 After Borders Books declared bankruptcy and closed in 2011, people with unredeemed gift cards ($210.5 million worth, apparently) went to court to get a piece of the store’s liquidation proceeds. On Wednesday, a judge ruled they’re not going to get it, saying it would be unfair to the company’s other creditors. So now those gift cards are just pieces of plastic, good for picking locks, strumming guitars, and apparently selling as collectibles to suckers on eBay.